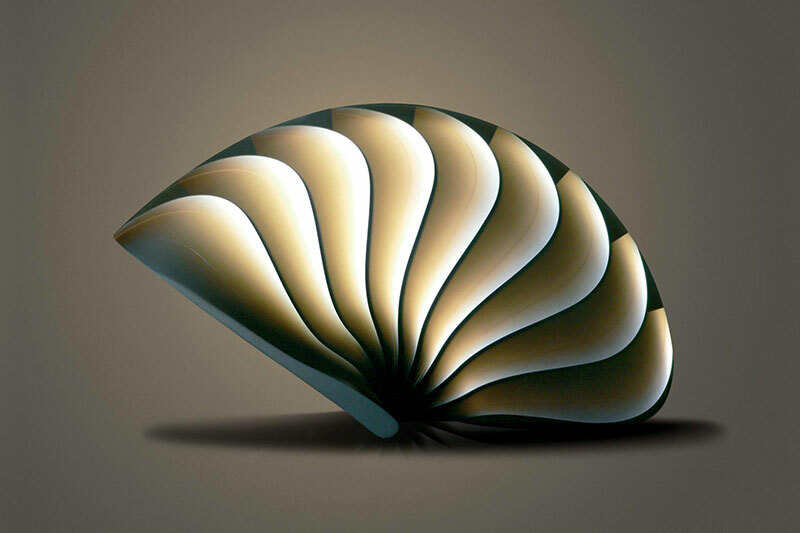 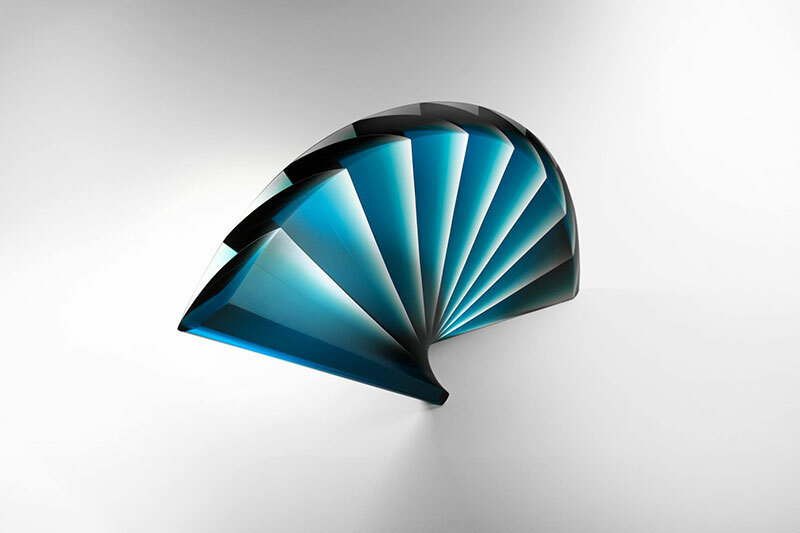 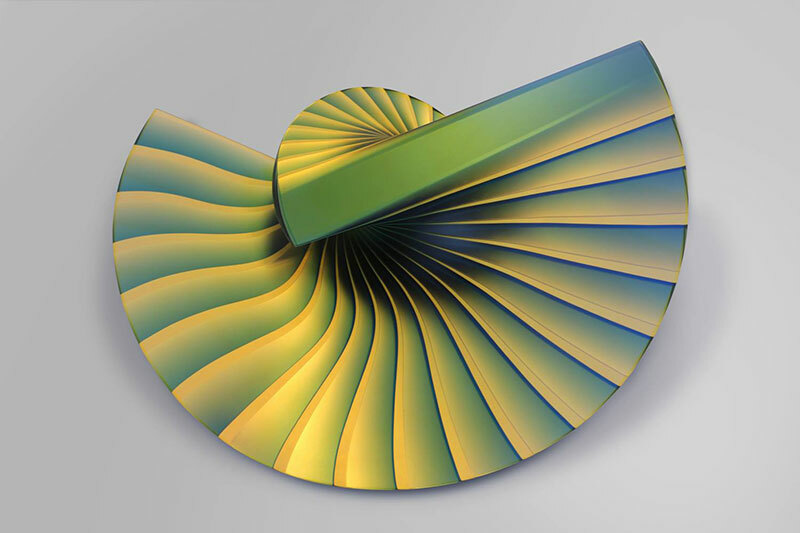 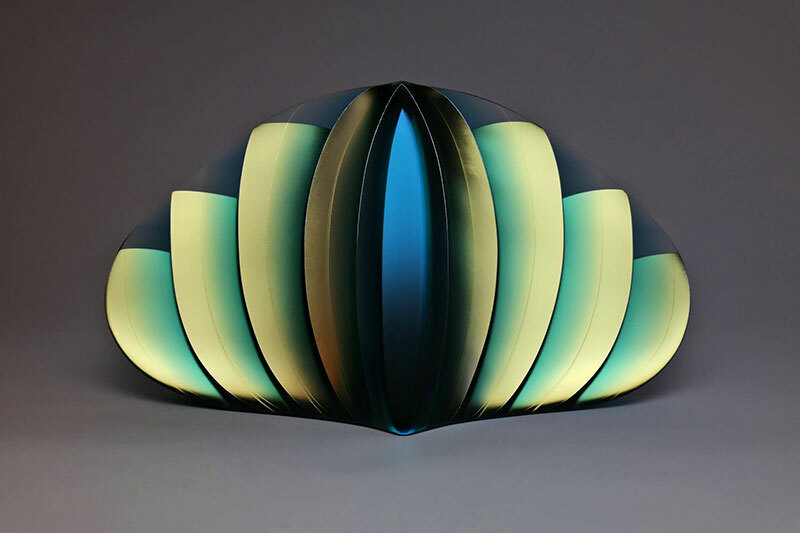 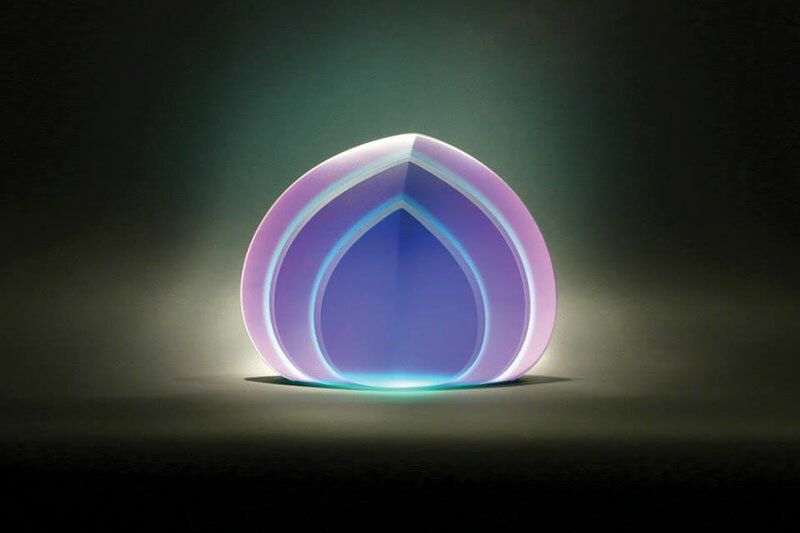 Iridescent glass sculptures by Hungarian artist Lukacsi Laszlo in the shape of fans and various natural and geometric shapes. 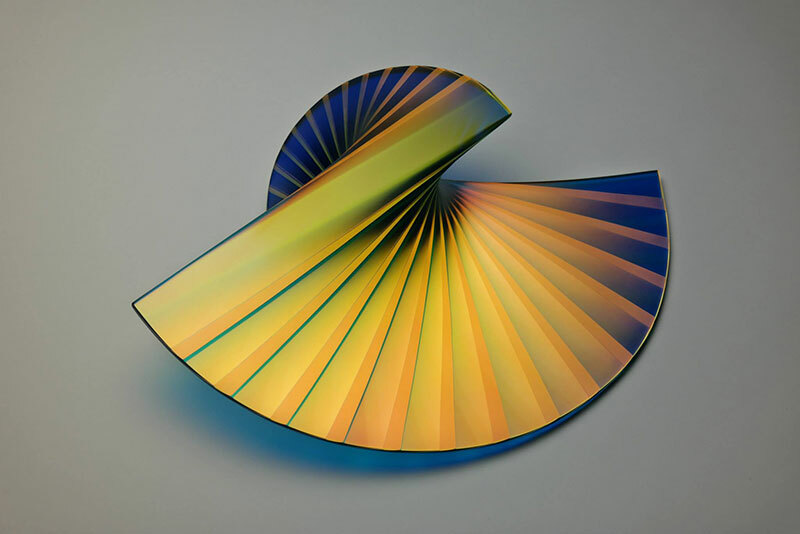 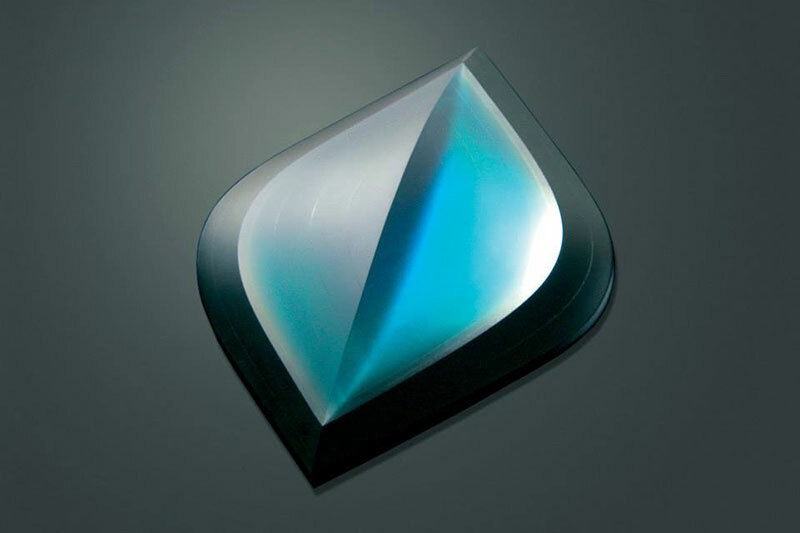 Laszlo's work fits into the strong Central European tradition of abstract, laminated glass art which explores the optical qualities of the medium. 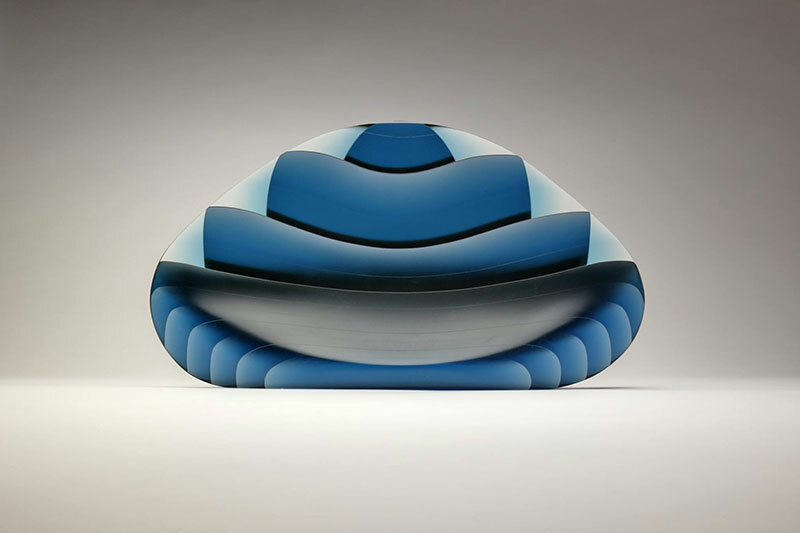 His use of cold-working techniques and the layering of laminated glass sheets creates visual rhythms within the works that changes from the viewers point of view. 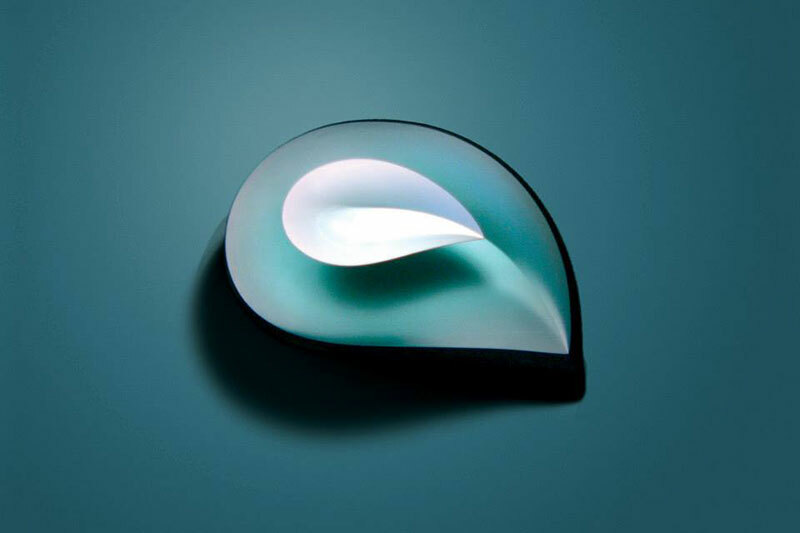 Laszlo enhances this experience by treating the surface of the plate glass with reflective lustre or by including mirror glass to create transparency. 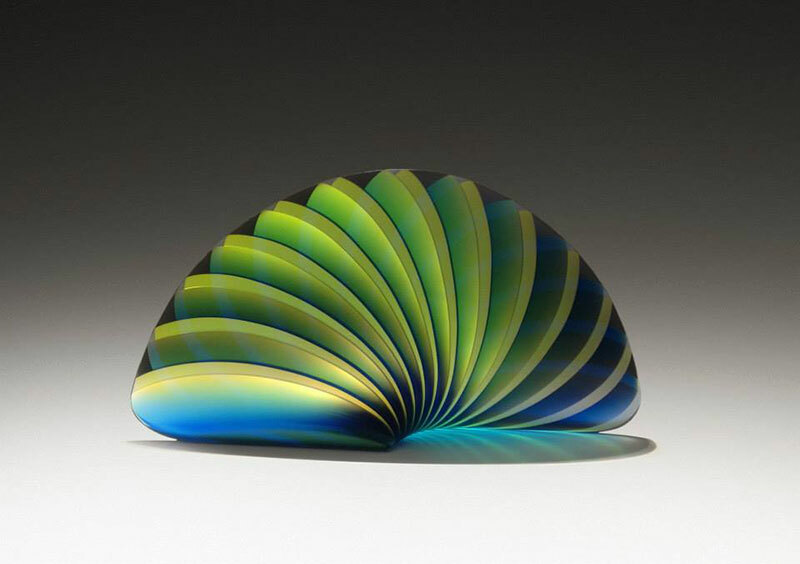 Iridescent glass sculptures by Hungarian artist Lukacsi Laszlo in the shape of fans and various natural and geometric shapes.